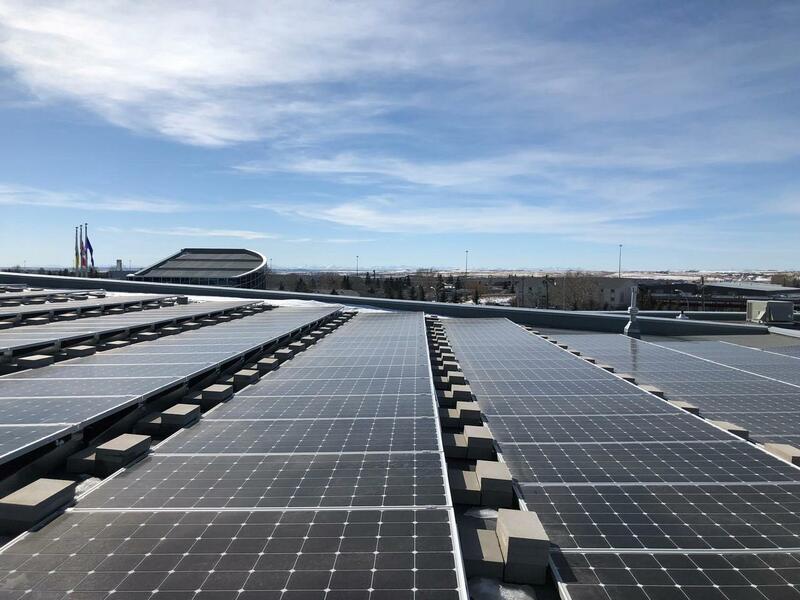 The City is working with ENMAX Energy and CBI Solar to install the largest 3,800 solar modules on the roof of Genesis Place to create a system which will ultimately be Canada’s largest municipal rooftop solar system. The solar system at Genesis Place will provide a source of renewable energy, while reducing overall electricity costs by up to $80,000 annually. Once complete, the panels will power the facility’s scoreboard, heat the pool for swim meets and keep the lights on for art classes – all while reducing emissions by over 1,000 tonnes in the first year. The project is expected to be complete Spring 2019.